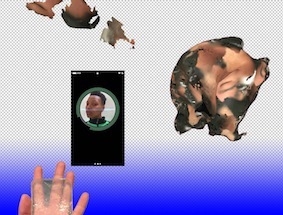 #cyborgs, an online show by Peripheral Forms is now live. It features some of my work alongside a very interesting selection of works curated by Jah Justice. #cyborgs brings together work from across disciplinary divides for a multiplatformed art experience focused on Donna Haraway’s concept of the cyborg as a queer political body. #cyborgs connects photography, digital images, video, score based performance, digital avatars, social media residencies, and potent fusions of them all.